iVvy, the award-winning new generation sales and catering solution for meetings, events, and groups, is the most advanced, end-to-end technology on the market offering a significant improvement to efficiencies for sales teams and event planners alike. 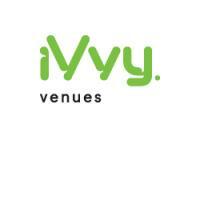 By piecing together an industry that's traditionally dominated by legacy systems and fragmented processes, iVvy’s platform is a connection and distribution engine for the meetings and events space, designed to help venues yield their event spaces, drive revenue, increase efficiencies and reduce costs. BRISBANE, QUEENSLAND (February 11, 2019) - iVvy, the award-winning hospitality Software as a Service (SaaS) provider, will now support American Express Meetings & Events (M&E), a division of American Express Global Business Travel (GBT), to offer its users a single interface for sourcing meeting and event space. The new platform, Meetings Express, will provide American Express customers in Australia and New Zealand immediate access to iVvy’s extensive inventory of thousands of hotels, restaurants, function centres and even yachts. Venues listed on the platform have the option to offer their availability in real-time, providing the consumer with instant access to their availability and pricing, further qualifying their enquiries. The launch of Meetings Express comes at a time when small-scale meetings and events are projected to provide significant revenue opportunities, with business events already reportedly contributing more than $23.1 billion dollars to the Australian GDP. “Client demand for service in the small, simple meetings segment is significant” says Issa Jouaneh, Senior Vice President and General Manager of American Express Meetings & Events. American Express Meetings and Events is recognised as a global leader in meetings and events management, offering a complimentary service to the existing corporate travel management solutions provided by American Express Global Business Travel. Hall continues, “Despite an evolving digital economy, the Meetings & Events industry still remains incredibly disparate. By offering American Express Global Business Travel a direct booking platform, we are able to connect qualified buyers to suppliers in a streamlined, automated process, to significantly improve in-house efficiencies for both parties. We know that corporate meetings offers venues a potential to maximise profitability, so this partnership will help to generate a new revenue stream and provide greater exposure for iVvy’s existing clients to corporate buyers that they may not have had access to before”. Meetings Express is serviced by the American Express Meetings & Events team, whose aim is to help meeting planners align small and simple meetings strategies with existing programs, and to promote policy compliance. iVvy offers meeting planners the ability to search, compare, book and pay for function space, catering and group accommodations online, 24/7. By providing conference centers, hotels, restaurants and cruise lines with an integrated revenue management and distribution platform, iVvy equips Venue Operators with the tools they need to manage inquiries on any device, anywhere. With enhanced reporting and analytics, Venues are provided with greater visibility over their business so they can yield their meetings & event spaces to maximise revenue. With offices in 5 countries and a global team providing support 24 hours a day, iVvy’s groundbreaking, cloud based software offers scalable solutions that tackle core issues faced by the travel, MICE and events industry, and continues to service the world’s leading hospitality groups, major corporations, travel companies, government offices, associations, universities and nonprofits. Unless indicated otherwise, all trademarks and service marks herein are trademarks of iVvy, Inc. or an affiliate thereof. American Express Meetings & Events, a division of American Express Global Business Travel, offers long-standing experience, expertise and leading capabilities spanning program implementation to budget optimization to deliver powerful meetings and events experiences for clients. The global team is focused on meetings and events sourcing, planning, contract negotiations, budgeting, expense management, reporting, and benchmarking, combined with strategic counsel and integration of leading technology. This end-to-end approach focuses on creating visibility, driving savings, and enabling effective meeting experiences.